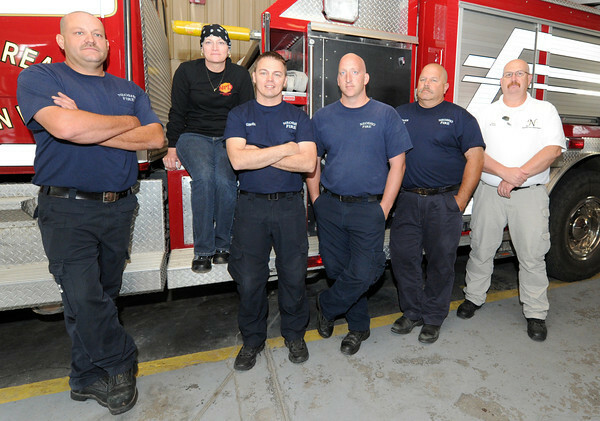 Mari Mallory, second from the left, poses with some of the Neosho firefighters who have supported her throughout her battle with cancer. Many of the crew at the firehouse shaved their heads as a show of solidarity with Mallory. From the left: Eric Brodie, Luke Powell, Travis Bracht, Bret Smith and Chief Mike Eads.